Every legend has a beginning. 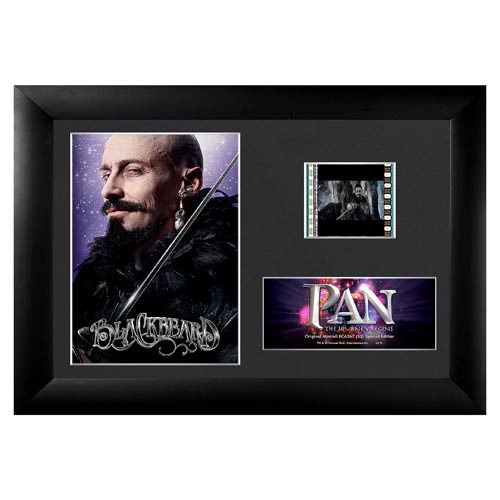 Experience the untold story of the timeless legend with this film cell based on Pan. Featuring an image of Black Beard and a film cell, this Pan: The Journey Begins Black Beard Series 2 Mini Cell measures approximately 7-inches wide x 5-inches tall. This film cell includes an easel back for easy display and a Trend Setters embossed/foiled certificate of authenticity.